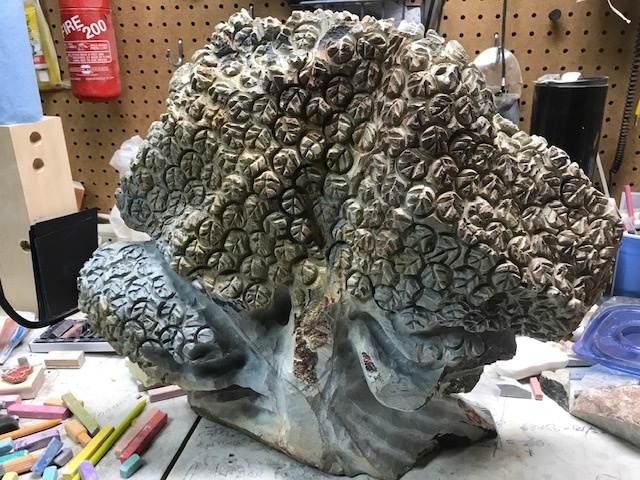 Here are just a few of my Sculptures that I've created over the past 10 years. 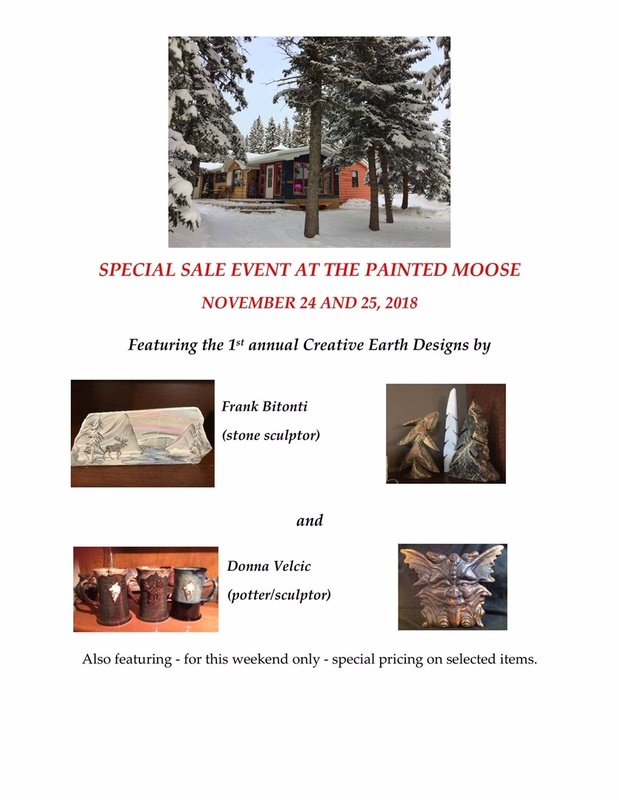 This weekend only Nov 24-25th .... Donna Velcic (Potter) & Frank Bitonti (Stone Sculpture) are hosting a Special Event at "The Painted Moose Artist Collective in Bragg Creek. Selected pieces of Pottery & Stone will be creatively priced. Painted Moose in Bragg Creek. What's keeping me busy ..... 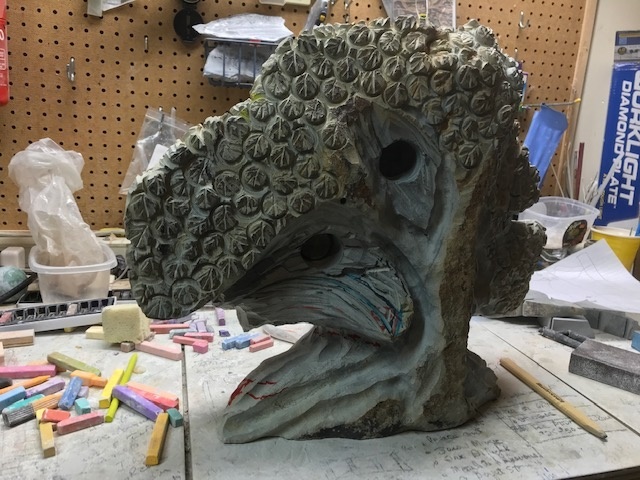 I'm working on a special commission of a tree see below. ..... I've had numerous requests to repair broken Sculptures. I charge $35 per hr. Contact me if you require a quote to restore or repair your treasured piece. ..... Need to take a short break will be ready to make new stock in February 2019. Have some great ideas for some new sculptures. Pictures will follow. The Painted Moose. This new Gallery is located across the street from the mall in this small Hamlet . This Gallery is Artist owned and operated. Meet the artists join a workshop. Potter, Sculptor, Jewelers, Painter, Denim Art,Wool, Wood workers, Leather art. Copyright 2016 One Penny Inc.